Now table rows have a subtle bevel effect. Adds support for full screen mode on Mac OSX. 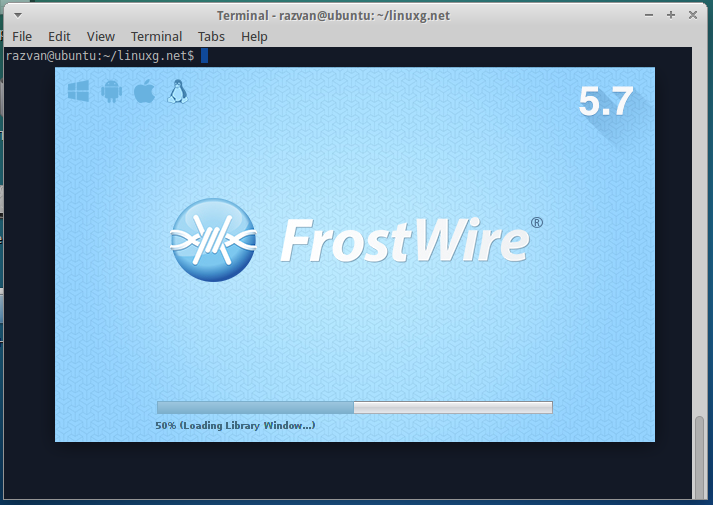 In this article I will show you how to install FrostWire 5.7.6 on Ubuntu, Linux Mint, Pinguy OS, LXLE, Elementary OS, Peppermint, Linux Lite, Deepin, Debian, Kwheezy, Crunchbang, Fedora, CentOS, OpenSUSE, Mageia and OpenMandriva systems.